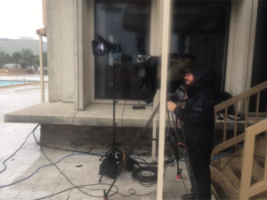 Hurricane Matthew hit the Caribbean and the Southeastern United States hard and our Nashville, Charleston, Charlotte, Denver and Miami cameramen went into the storm to capture footage for NBC News, CNN and The Weather Channel. 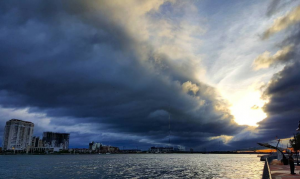 The hurricane formed near the islands at the end of September. It hit Haiti and Cuba and then worked its way up FL, GA, SC and NC. There was a peak surge of 9.88 feet in Fernandina, FL. And the highest measured rainfall was over 17 inches in Savannah, GA. It officially made landfall down the road from Go To Team headquarters in Charleston. Because of the storm, we kept our office open 24/7 and only moved operations to our Seattle office overnight Saturday in case we lost power and internet. Our owners were in the office and our president spent a couple nights there to maintain operations. The rest of the office staff worked remotely and continued to lead and support our clients and crews. 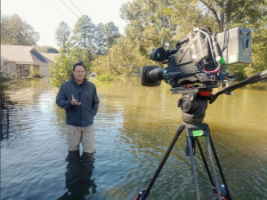 Our crews traveled from all over the US to work with our clients on covering the storm. 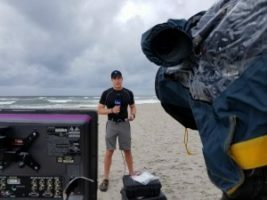 For NBC News we were in Myrtle Beach, SC. For CNN we were in Savannah, GA, and Charleston, SC. 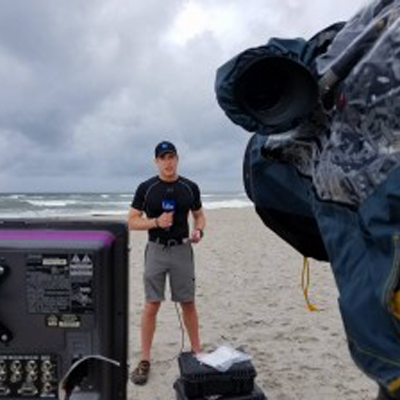 And for The Weather Channel we were in Palm Beach and Jacksonville, FL. We shot lots of live footage and captured B-roll. Our Denver cameraman was even flown to cover aftermath. Even though the hurricane is officially over, its aftermath is in full effect. People are traveling back from mandatory evacuations and assessing the damage to their communities. There is flooding in many areas and massive cleanup is needed for roads, homes and businesses. We are also filming some cleanup efforts. Storm coverage typically includes a satellite truck, but Live U was in full effect this storm.